Gather all your friends and family together for your outdoor wedding with our Tree Wedding Invitations. 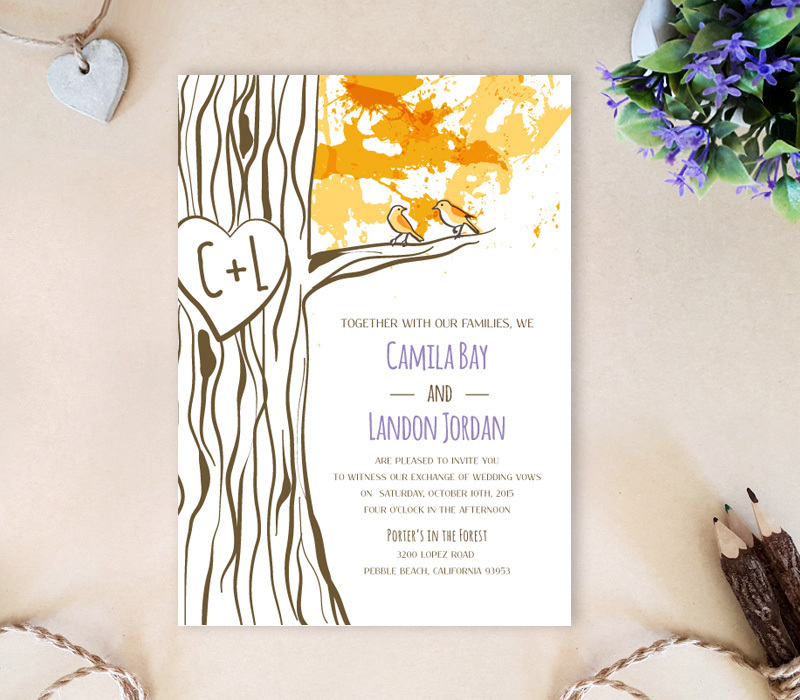 Ideal for a nature-inspired wedding, our woodland invites are feature a heart engraved tree with two lovebirds, along with your wedding details. 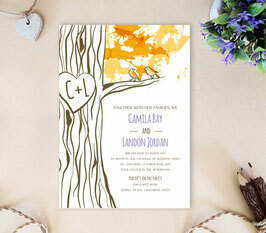 Each one of our woodland invites are printed on premium paper and feature a woodsy style font.